About a week ago I purchased an iPhone 5, and after having two models replaced Dodgy MacBooks & Scratched iPhones: Is Apple King of Customer Support? Dodgy MacBooks & Scratched iPhones: Is Apple King of Customer Support? Misplaced brand loyalty – or brand disloyalty as it sometimes manifests itself – is a game I gave up on long ago. Speaking from experience, buying or ignoring a certain company’s products “just because” without... Read More and performing three restores via iTunes, I thought I was ready to rock. A few days later Algoriddim released their new video mixing app, vjay, and in order to pretend I am one day destined to become a superstar VJ, I decided to transfer some media using iTunes. Much to my surprise (and disgust, having been a long naysayer of the iTunes way Miro: An All-In-One Application To Manage All Of Your Media [Cross-Platform] Miro: An All-In-One Application To Manage All Of Your Media [Cross-Platform] We have a lot of media that we need to keep track of before we forget that we even have them. We're also on a constant need for new, fresh media. Ideally, it'd be great... Read More ) my brand new – and recently restored using my own Mac – iPhone 5 iPhone 5 Review and Giveaway iPhone 5 Review and Giveaway On 21 September 2012, people all over the world queued up for the biggest thing to happen to iPhone since iPhone -- the iPhone 5. The iPhone 5 is the fastest, largest, thinnest and lightest... Read More wouldn’t sync without erasing everything first. I Googled for help like a consumer scorned, assuming I’d missed something obvious and there was a quick fix. Once it was all over I was left feeling like a fool. I won’t divulge the words that spilled out of my mouth as I tried to sync my sparsely populated iTunes library (literally about 3 songs I’d imported specifically for this task) with my brand new iPhone 5. The iPhone that I’d restored from a backup using this very Mac, and a device that had a total of 0 songs onboard. Despite the hoo-ha generated by Apple’s decision to go “iTunes-less” with iOS 5, iTunes is still required for a great number of tasks. Transferring media is one of the few of the shackles that continue to tether your iDevice to a PC or Mac at this late stage in the game. You can now download media files and “Open with…” on your device, but if you want to put that file into your library then you’re out of luck. I do have a theory as to how my own situation arose, and how it has persisted this long. When I received my first iPhone 4 running iOS 4, iCloud-less and still reliant on iTunes for software updates I was faced with the task of updating to iOS 5 when the update landed. At the time I used my old Windows machine, updated, paired and forgot about it. A few months later this laptop died, and with no backup of my never-used iTunes library I gave up on what I then considered to be the world’s most bloated music player (iTunes for Windows). Earlier this year I decided I would start again, repair my broken iOS Camera Roll and specifically not pair the device with any computer until I got the new MacBook I had been waiting for. 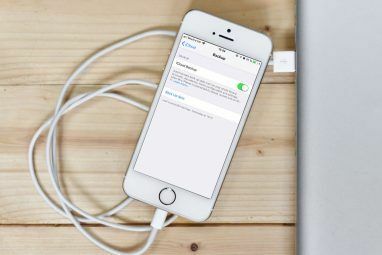 I restored from iCloud, it didn’t quite go to plan When iPhones Go Wrong – Restoring From iCloud Backups [iOS] When iPhones Go Wrong – Restoring From iCloud Backups [iOS] Like any Apple product, the iPhone just works right? Unfortunately, we don’t live in a perfect world and regardless of what anyone will tell you, iOS is not perfect. Things go wrong, but luckily there... Read More , but things eventually worked out by choosing a different backup. The process took hours and hours to complete on a perfectly acceptable ADSL2+ connection of around 10Mbps. Once complete I checked the Settings > General > iTunes Wi-Fi Sync option in the iPhone’s preferences, and sure enough it told me to connect my phone to a PC to pair with iTunes and enable Wi-Fi syncing. I had a blank canvas, or so I thought, and so it stayed. It wasn’t until I got my iPhone 5 with plenty of storage space that I decided it was time to transfer some media, specifically for use with one app because I use Spotify Make Better Use Of Spotify With These Top Tips And Tricks Make Better Use Of Spotify With These Top Tips And Tricks If you’ve invested time and money in playlists and a subscription, it makes sense to learn some of the lesser known functions and quirks that the Spotify client has to offer. There’s no denying the... Read More for music listening on the go. From what I can gather, iCloud and iTunes have remembered my old iTunes library from my previous experiences with Windows. This is despite factory resetting the iPhone 4, getting it to a “blank” state and setting up then restoring my iPhone 5 using this Mac and this iTunes library. I probably don’t need to tell you this, but that’s beyond infuriating. I was left wondering how is anyone ever meant to remove that old library while retaining personal settings using backup methods? The irritating thing at this point was that clicking Sync in iTunes actually works fine at this stage. It’s only when “sync apps” or “sync music” was checked that the program threw a wobbly, which is beyond infuriating. De-authorizing and re-authorizing all computers from within iTunes (no, I don’t know what I expected either). Choosing “Manually Manage Music And Videos” and clicking Apply (gave me the same error as above). Various fiddling with preferences, looking around for a “forget Library” button or equivalent that would let me retain my apps, Photos and other data while iTunes sorted itself out. I’m not sure where I got the idea for this, but I decided I’d let iTunes do what it wanted to my phone in order to transfer those few songs I wanted in the first place. My current iPhone library is a barren wasteland with no music in it, so if it deletes my library then what do I care? If it deletes everything on the phone I have a backup, and potentially the exact same issues once restored. This is the part that was giving me the nasty error in the first place. Absorb those words fully – “erase this iPhone” and “replaces the contents of this iPhone”. What does that mean to you? Something I’d never do had I not backed up the phone, screenshotted my home screen (in case I forgot which apps I was currently enjoying) and checked my iPhoto library to ensure all my pictures were safe. 4. Wait For About 15 seconds. Faced with a dialogue box that warns of the complete removal of data from your most-relied upon device in order to sync music, quite possibly the reason you’d opt for the device in the first place, I’m confident I’m not the only person who would approach with caution. From my understanding of what iTunes was telling me, I stood to lose everything and “start again”. Couple this with a backup made while the problem was prevalent, I had little faith in a solution that didn’t involve a lot of hoops and many, many jumps. In short, I took a chance (or so it felt) and the solution was painfully simple and fuss-free. So yes, it was my fault. But then again, I don’t feel alone in my idiocy because there are people responding to threads created in 2010 from as recently as this month (November 2012) who are unwilling to click that button and find out the good news. Yes, if you have music on your device then it will be removed. No, it’s not the headache you think it might be – you can just put it back on there. Have faith in Apple’s poorly worded warning labels and you too can transfer media to your iPhone once again. Have you experienced something like this yourself? This is a long comment but I'm looking for some help please, I've already read the article. I'll get on to another version of this message in a sec, as there seems to be more than one version thing happening now! but I'll tell you the story of how it's happening. I am having some really weird issues myself actually. So I plugged in my phone earlier today, an iPhone 4s, after recently fixing iTunes crashing and reimporting the library. It just sat there saying installing device driver, which shouldn't take too long! Well it was taking ages. From there I unplugged and replugged, it fixed itself, autoplay and phone showing up on windows 7. Then the update dialogue box for iOS 9 came up. This is what I want to get to, but first, I want to sync. So for now, I cancel. It then says, syncing iPhone step 1 of 3. Three steps? It didn't even back up! It just said starting sync, prepairing to synch, waiting for changes, boom, done. So what happened to all the other steps? I then noticed that manually manage media was unchecked, went to check it, and then an even weirder message came up. Instead of saying this will eraise contents on my phone, it said it will replace media from another library on my network name! With a replace and sync button, or a cancel button. Naturally, I have clicked cancel for now because I don't even know what the heck iTunes is playing at now. I've seen eraise and sync before but this is a whole other weird warning that has scared me too! The only reason I can think of this was because I had to reimport the library recently. I'm not really too sure what to do. What stuff could be replaced from the whole library? What on earth is going on! Thank you sooo much for this info, i too felt like an idiot , reading the same dialog box, afraid to move ? Or make a decision, i was thinking its only going to wipe and replace my music, ISN'T IT????? afraid to take a chance that i was mistaken in my thinking, i googled my problem and ALAS YOUR ARTICLE, THANK YOU, THANK YOU, my fears remived i erased and synked and MY WORLD DIDN't end, ??? It's just apple being a pack of complete jerks. The only reason that message is worded so mis-leadingly I believe is to try to protect their iTunes music purchasing system, rather than let you manage your own music library on the iPhone manually. Sort of understandable they would try to mislead you in this way, to try to make as much revenue as possible, but it's actually a really low-down deceitful move which compromises the user experience of the person who owns their portable music device / phone product. It's this message, as well as some other less annoying maneuvers that make me not want to stay with Apple going ahead when it comes time to buy another phone or similar device. I used to go to Apple in order to get straight-forward products that work without having to be a computer wizard just to work out how to get it work the way I want it to. They're kind of getting pulled off-line from that direction these days, is my take on things. Getting to big for their own mega-corporate boots. Wow - I had the exact same experience as you, and so glad I came across your post! That is the most terribly written and frightening dialogue box that Apple could have produced, for such an innocuous task as trying to get music from iTunes to my iPhone! Like you, I was definitely not prepared to erase my entire iPhone and risk losing settings, data, etc., etc., and going back to square one just for some music. So annoying. Every time iTunes updates I wonder if Apple has clarified this to the many people it still seems to catch out, and every time I get a comment like yours letting me know they haven't. It's been over two years since this post was published! Not necessarily! You can transfer purchases from your iPhone so that might do the trick. 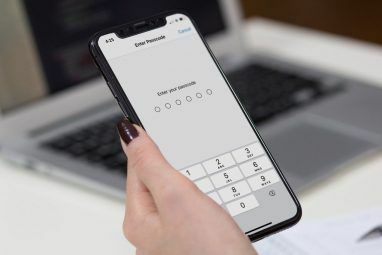 With your iPhone connected and visible in iTunes, click File > Devices > Transfer Purchases From (Your) iPhone. It's all about the associated Apple ID. If you bought those apps with the same Apple ID you use in iTunes, you should be able to copy everything over without problems. You, sir, are a scholar and a saint. Thank you so so much for this!!!! It had been over a year of avoiding pushing that "DELETE EVERYTHING IN YOUR LIFE" button! THANK YOU!! My wife is sexing me again because of this article. So, if I press this "erase and sync" button, it deff won't erase my apps? Because I need to apply the manually manage music and videos option, but it keeps popping up to do that. Your article helped me understand that option with a new iPhone 6 after upgrading from a 5, and before that a 4, and before that a 3G. Glad to hear it Rich, hope you're enjoying the new phone! thanks very helpful.... was sorting out mums phone on new PC after old one died and got the same dialogue.... was worried it was going to wipe the phone! what a stupid message on apples part! very confusing and misleading... wouldn't have got it done without reading this! Very true, and now we're into iTunes 11 on OS.X 10.10... and the same warning still pops up! Thanks mate! 2 years on and this article looks like it's still giving people the confidence to hit the button. Dude, you rule! Googling like crazy and all I was seeing was lectures from Mac snobs explaining to people why Apple needs to wipe their phones. I didn't even change computers--just bought the iPhone 6 and activated as a new phone. I was dreading having EVERYTHING wiped off of my phone, but after reading this I pushed the "scary" button, looks like it's just replacing the music. Thanks a lot for this. Really really helpful as I was putting together playlists for a wedding having restored my computer! Lifesaver. Your my hero. i thought it would replace my baby and wipe her clean but everything is still there and the rest of my music is there. your a hero thanks so much! Thanks for the write-up, this assuaged my fears. If the warning had simply said "this will erase your _music_ library" then I would have been okay with that. In the end I did just as you said (just press yes) and it worked perfectly fine, nothing deleted. Yeah me too, judging from the amount of attention this article is still getting 6 months after publication it sounds like Apple need to revise that warning, eh? That or let us add music to our libraries in other methods (yeah right, like that will ever happen). Did you download those songs free from iTunes? I.e. they were promotional or just free to grab? If so then yes - they will be treated as a past purchase by iTunes. If you got them elsewhere (i.e. a music store) then you should be able to redownload them from the service you originally used. If they are songs given to you as MP3/AAC by a friend or that you have downloaded for free from say BandCamp then no - you will not be able to recover them without going back to the original source. 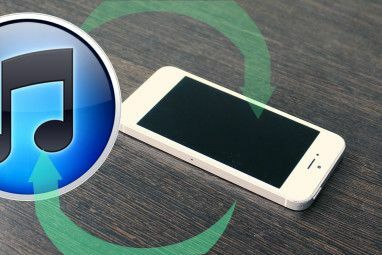 The lesson is to keep a backup of your music, even if you transfer it to a mobile device like an iPod or iPhone! If you have backups then simply re-import into iTunes and add the music again. Finally got the courage to update from os4 and went smoother than expected, but took me a couple of weeks until I was ready to push that button - thanks for the reassurance, wouldn't have bothered if I hadn't found this article. Glad it all worked out ok for you in the end Michael. I also waited way longer than I should have to hit the button, so something clearly needs to be changed within iTunes to stop others feeling the same! Thanks so much for giving me the courage to press that scary button! I lost my music when I tried this! Please help. I was trying to import an audio book I had purchased to my iPhone when I first got the message above. After reading the article above I clicked erase and sync (that is what was instructed, correct?) and the audio book was imported but all my music was deleted from the iPhone. I later restored the iPhone from a backup and none of my music came back and the eBook was deleted! Now I'm worse off than I was before. I still have my music on a hard drive so can go through the silly iTunes rigamarole, but I get this stupid error message every time I try to import anything using my laptop. I don't know how my phone could be "synced with another library." I have not used it with any other library or device though my ex-wife did mess with it some before she departed. Is there any way I can just import the music and books I want from my own hard drive without going through this BS? Please help! Unfortunately Dave you're tied to iTunes, and so will have to pair the two and sync Music and Books that way - from scratch by the sounds of it. If you bought the audio book it will still be available from whatever service you paid money to - otherwise you will need to import and sync again. Provided you have the music (you paid for it, you have MP3s) then you really don't need to worry. 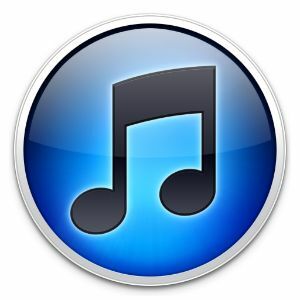 Simply import them back into iTunes on your PC and sync with your iPhone. I find the easiest way to do this is to create an iTunes playlist with all the music I want on my phone and choosing to just sync that playlist. You might want to think about something like Google music (if you live in the US) or iTunes Match or similar. There's also Spotify, but that requires a monthly fee (I think it's worth it, though). Good luck, happy to help in any other way I can. I had to restore my laptop after a virus, and reinstall Itunes, logging in with my wife's account I expected to be able to just use the software. No. I got the 'erase everything warning', Scared i looked for other ways to transfer a couple of new tracks. I came upon your article, and thought great I'll give it a go. I clicked on the 'go ahead option' on the 'this will erase and synch with new computer' button. AND it DID exactly what it said it was going to do and erased my wife's entire music library replacing it with the new songs. Luckily I had all the music backed up, so am currently adding it back again. Yeah, that will always happen with Music/Video stuff you don't already have in your iTunes library. That's all the warning is essentially for, however I bet the process didn't erase your wife's whole iPhone, all apps, app data etc... now that's what I was REALLY worried about. Good job you had a backup of the music! Thank you SO much!!! I visited numerous forums on this and yours was the only one that said to actually do the erase and sync after the transfer. Worked perfectly!!! Glad it helped. That's exactly why I wrote this article, I knew there would be other people out there just as lost as I was! Great summary of what many of us have gone through. iTunes is NOT Apple like in it's simplicity - more Windows like. Idiots. Great job with your advice. LOL IPHONE HAHA easy fix for anyone getting the erase and sync message. Do yourselves a favour and go and get a real phone (Android).